A place where Rug Hookers and Fiber Artists can post upcoming Hooking camps, Rug Exhibits, and Workshops. Find out what is happening in your area! Enjoy! Located in southeastern Wisconsin, the Cream City Rug Hooking Guild is involved in educational programs designed to increase awareness and promote the art of traditional rug hooking. Bi-monthly meetings offer a creative environment for members to share ideas and improve rug hooking skills. The Hooked Rug Museum of North America was the dream of Suzanne Conrod of Chester, Nova Scotia. Together with her husband Hugh, they began collecting rugs and artifacts that would form the basis for a museum collection. Lakeside Rugs is committed to providing the highest quality products at reasonable prices. They carry those hard-to-find items that help make the creation of hand-hooked rugs fun and easy. Watch for special pricing, free shipping offers and a gift with your order. Rug Hooking magazine is published five times per year, and is available in some book and craft stores, and by subscription. The magazine provides high-quality articles and photographs about the art and craft of rug hooking, and how-to articles on techniques and projects. 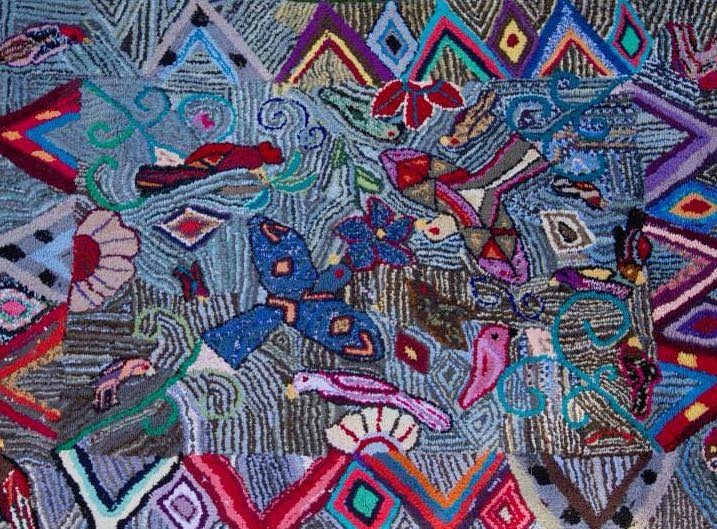 Rug Hooking readers are passionate about rug hooking, and they value informative articles about the craft and the people involved in the field. They also enjoy the high-quality projects that they find in the magazine. Loopy Ladies is a rug hooking guild in the northeastern Chicago area.